Leaf Shield Gutter Protection has been installing gutter guards of the highest quality since 1995 throughout Brisbane and SE Qld. We have agents in Rockhampton, Mackay , Maryborough and Bundaberg. All our licensed agents are experienced gutter guard installers, installing leaf shield gutter guards for more than 8 years. We service Toowoomba, Ipswich, Sunshine Coast, Gold Coast and as far south as Ballina from our warehouse in Banyo Brisbane. Our trained gutter protection consultants and gutter guard installers live throughout SE Qld and provide friendly and reliable service. 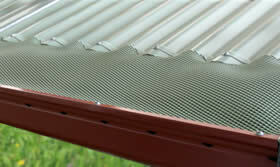 In 2008 Leafshield realised that none of the gutter meshes available in Brisbane were suitable for very fine leaves, such as jacarandas, wattles, leopard trees and fine pine needles, so we sourced a reliable guttermesh that would cater for these customers and added our fine leaf mesh to our gutter guard range. In 2012 we now sell a variety of gutter guard products so that we have a gutter guard and valley guard solution for every leaf and roof type we encounter. For this reason we believe that we offer the most effective gutter leaf protection in Queensland. Because we are local our after sales service is second to none . Prior to installing one of our gutter guard products we provide a complimentary gutter clean to ensure that gutters remain leaf free for many years. Our trained consultants can come to your property to provide a free, no obligation measure and quote service. 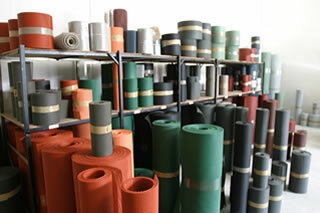 Our membership of HIA ensures that our products and services are of the highest standards. free to fill out the enquiry form. We offer a quality service for fully installed gutter protection systems which will give you peace of mind for many years.